THE FIGHT, based in Los Angeles, celebrated its 8th anniversary with its February 2019 issue. G PHILLY, the online LGBTQ news section of PHILADELPHIA MAGAZINE, was shut down on December 19, 2018. The coverage from that section will be folded into the main magazine. GOLIATH ATLANTA entered its fifth year of publication with its February 2019 issue. GRAB MAGAZINE, based in Chicago, entered its 10th year of publication with its January 8, 2019, issue. LEFT MAGAZINE, based in San Francisco, published its final issue in December 2018 after five years of publication. Publisher and founder DAVID HELTON made the announcement in a personal essay in which he also announced he is getting married to his partner JEFF KALUZNY, who was also the magazine’s director of operations. LETTERS FROM CAMP REHOBOTH, based in Rehoboth Beach, Del., entered its 29th year of publication with its February 8, 2019, issue. 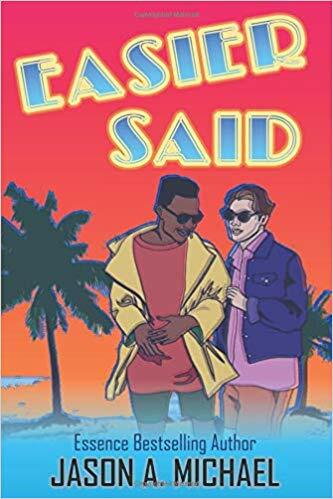 JASON A. MICHAEL, a reporter for Livonia, Mich.-based BETWEEN THE LINES, released his first novel, entitled “EASIER SAID,” on February 9, 2019, on his own JAM BOOKS imprint. OUTSMART, based in Houston, Texas, entered its 26th year of publication with its February 2019 issue. SOUTH FLORIDA GAY NEWS, based in Wilton Manors, Fla., published its largest issue ever on February 20, 2019, at 124 pages. It also held its ninth anniversary part and community awards celebration on January 23.